Preti Flaherty is pleased to announce that attorney Mariana Baron has joined the firm. Attorney Baron practiced with a top law firm in Argentina before moving to the United States and earning an LL.M. in Business and Commercial Law from Boston College Law. Mariana also holds an LL.M. in International Tax Law and has several years of experience advising international clients on tax matters. Since moving to the U.S., Mariana has served as a law clerk for Hon. William Young in the U.S. District Court for the District of Massachusetts and has practiced immigration law in Boston for four years. At Preti Flaherty, she will focus on advising multinational companies and investors on complex domestic and international issues. She will also counsel clients on business immigration matters. Mariana has her law degree from Universidad Austral, Buenos Aires, Argentina, and a masters in Tax Law from Universidad Torcuato Di Tella in Buenos Aires, where she was valedictorian, in addition to her LL.M. from Boston College. Mariana is a member of the Maine Bar, the Bar of the U.S. Court of Appeals for the First Circuit, and the Buenos Aires Bar. 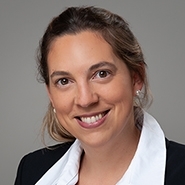 Mariana will work from the firm’s Portland, Maine, and Concord, New Hampshire, offices.